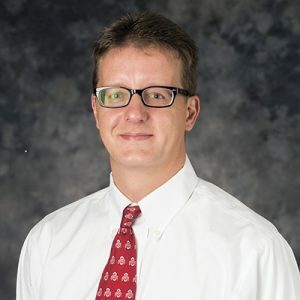 Kevin Carey is the Technical Services Librarian at the Ohio State University Moritz Law Library. 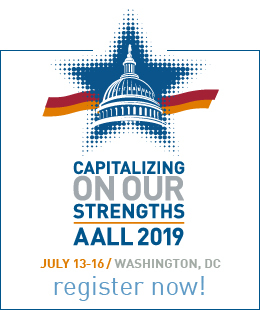 I joined AALL when I first became a capital-L librarian at OSU because membership was encouraged and supported by my institution, and because it just seemed natural: of course a new professional law librarian would join AALL! 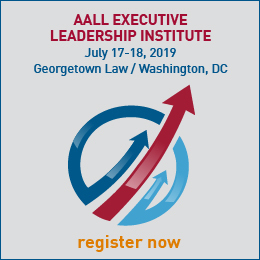 AALL membership has given me a wealth of opportunities to build a professional network, develop collaboration and leadership skills, and just to be involved in so many ways. This is such a service-oriented association, and it has been very rewarding to give back through committee and SIS work especially. The membership directory! The strength of AALL is its membership, and I probably log in to AALLNET more often to run a Member Search than anything else. I really enjoy the nitty-gritty of SIS work too, and both OBS and TS are really fun and inclusive communities. The party at Knibbe Ranch at the end of the 2014 Annual Meeting in San Antonio set an especially high bar for me as a relative newcomer to our summer conferences. What a night that was, with great barbecue, a rodeo and a fireworks show. And the long drive out and back was a great chance to get to know a few new colleagues a lot better. My wife and I have two daughters in elementary school, Charlotte and Caroline, and so outside of work my time is family time: we enjoy camping, boating, playing games of all kinds, and just spending time together. I am revisiting the Smiley era in what may be John Le Carre’s final novel, A Legacy of Spies, and this time of year I like to keep a copy of Nessmuk’s Woodcraft and Camping handy. Most summers we take a road trip down I-65 to our favorite bungalow on Florida’s 30A along the gulf coast — and we are very much a Walt Disney World family.